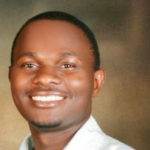 Dr. Winceslaus Katagira is an Internal Medicine Physician and Research Fellow at the Makerere University Lung Institute (MLI) in Kampala, Uganda. Wincey (short for Winceslaus) is a physician with a Master of Medicine (Internal Medicine) he completed in 2015 and a Bachelor of Medicine and Bachelor of Surgery Degree (2008), both from Makerere University. He is the Head of the Pulmonary Function Lab at the Makerere University Lung Institute and has coordinated numerous Spirometry based research projects within the Lung Institute. He is currently the local Spirometry trainer at the Institute and performs quality assurance for Spirometry tests conducted at the Institute both for clinical care and research. He enjoys teaching and training and has spear-headed the MLI’s project of setting five (5) Spirometry Labs across Uganda in a bid to improve diagnosis and management of COPD and Asthma in Uganda. Wincey has authored a number of peer reviewed publications in Lung health journals. Together with his wife, Wincey has two children (for now).